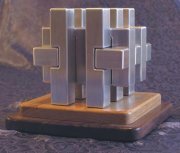 Maxton Puzzle Sculpture - Symmetry I supplied in the UK by Puzzle This. These puzzles are limited editions and are great for the coffee table. 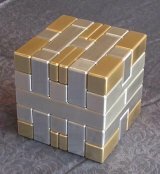 There are several puzzle sculptures produced by Maxton and we can supply any of them. The two below are good examples of the range. If you require details of the other Maxton puzzles click here to contact Sarah. These puzzles are not held in stock and are shipped to us from the US, the prices below include all delivery costs and import taxes. The puzzles are made to order and can take several weeks to be delivered. For more information or to order a product click here to contact Sarah. Click on an image for more details and further pictures.